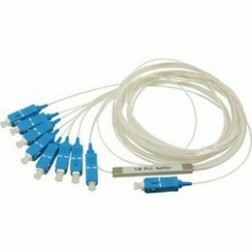 Passive Optical Network ( PON , Passive Optical Network ) consists of an optical line termination ( Optical Line Termination , OLT) at the central side of the network to which is attached a branched structure of optical splitters – splitters . These are connected end optical network unit ( Optical Network Unit , ONU ), most often in a tree , or ring or star topologies . The distance between the OLT and ONU can be up to 20 km . 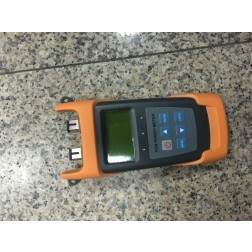 GE PON is Passive Optical network based on standard Ethernet protocol with Gugabit troughput full duplex. So this is best solution for your new Enterprise LAN with easy configuration, management and mantainance ! EPON OLT units WDS1U4PGE are equiped by well known brand chipset Cortina CS8032, therefor wodaplug power and signal level is very high and provide for your future network fast stable conection. Heat rezistance was tested in long time period in real setups and its very good even in temperatures over 40C. Wodaplug OLT units are equiped with redudant dual powersources, which is very important for reliable non breaking usage!! 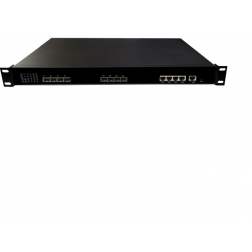 Wodaplug Pizza-Box OLT serie is standard sizing for 1U 19″ „rack mount“. Advantages are simple: compact size, easy instalation, management, flexibility and power output. 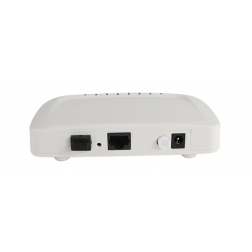 Wodpalug OLT are very good when used for “Triple-Play” applications, CPN, IP kamery, Enterprise LAN networks and IOT apps. Its possible thanks to using newest – CORTINA CS8032 Chipset ! 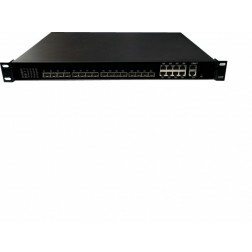 Wodaplug WDS1U4PGE offers 4GE a 4 SFP slots – interface for uplink, and 4 EPON ports for downstream. Supports up to 256 (4*64) ONU in 1:64 splits PLC by passive wodaplug splitters . Optical netwok behave transparently as smart switch, VLAN can be configured for each port of end ONU units. Configuration of ONU is easy thanks to preconfigured templates ( 4 and 8 ports OLT units has template management in base version ! ! ) Newly connected ONU unit automaticly downloads configuration from previosely set template (provisioning). Configuration OLT unit is possible 1. thru supplied EMS configuration software – central management ) based on SNMP (needs mySQL and reqiure additional SW instalation on master managing PC) or 2. by telnet and CLI (standard command line interface). Wodaplug units supports SNMP (mibs) protocol.